Thanksgiving 2018 is here! Thanksgiving brings thoughts of turkey, family, travel, football, sales and parades. But wait -- isn’t Thanksgiving about giving thanks? 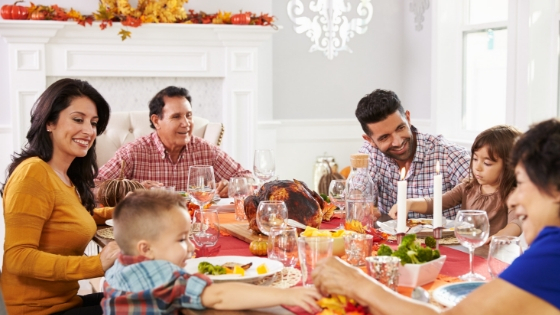 It seems like giving thanks gets lost amongst the Thanksgiving and holiday season hoopla and has been relegated to a quick exchange before the much anticipated meal. A concrete way to express gratitude at Thanksgiving is to reach out and support those in need. Many families have added volunteering on and around Thanksgiving to their holiday traditions. These generous acts not only support the community but volunteers report feeling great satisfaction and joy from these experiences. Perhaps volunteering on Thanksgiving is not for you but charities need help all year long. You can find great volunteer opportunities near you at a time that works for you using Volunteer Match. Another way to show gratitude on Thanksgiving is to make a monetary donation to charity. We suggest you focus on a cause close to your heart and then use a service such as Charity Navigator to research reputable charitable organizations in your area before making your donation. Donating goods or services is another concrete way to demonstrate thankfulness. Every donated item or hour of service help free up resources for other areas of operation. And, people love the simplicity and transparency of donating goods. But, before you donate be sure the items are in good condition and can be utilized by the charity. Donating items that can’t be used for any reason actually drains resources at charities by creating more work for employees and volunteers. The online giving platform, YouGiveGoods, enables individuals, groups and companies to run donation drives that raise only new, usable items for charity. And, donated items are shipped in bulk which eliminates the time and resources charities typically spend on the transporting, counting and sorting necessary in traditional collection box drives. Lastly, you can show your gratitude by becoming an advocate for those in need. Consider thoughtfully the charity or cause that touches your heart. Then educate yourself and simply lend your voice to the cause. Social media has made it easy to spread the word and raise awareness and hopefully drive resources towards those in need. This Thanksgiving lead by example when you give thanks in a new and meaningful way. Making a difference feels great – we promise! Happy Thanksgiving!